For additional information about this book, visit the website AFLYONTHEWALLSTREET.COM. Household fly Frederick Flyberg and his pal Leonard have always been best friends – from a snow cone stand on Main Street to a Wall Street brokerage house today. So come along with them to the world of stocks and shares and bulls and bears, and learn about investing. 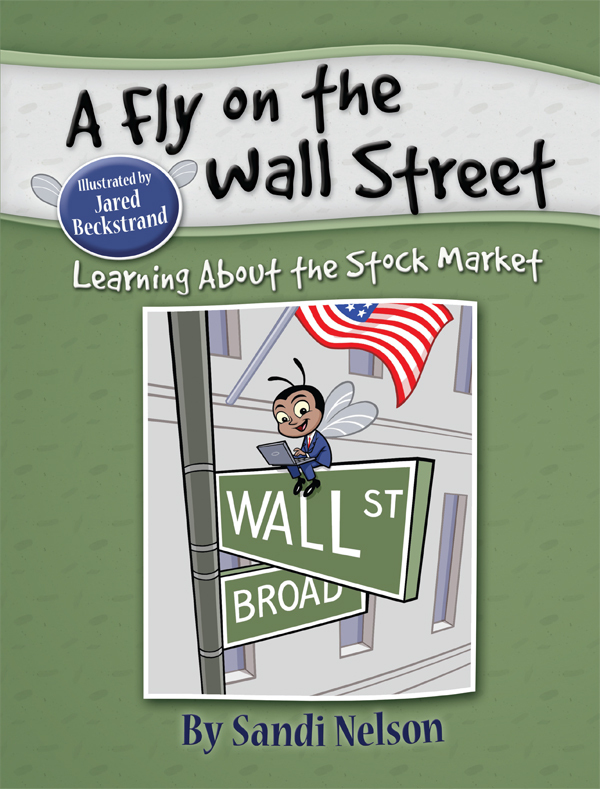 "A Fly on the Wall Street" is the perfect beginner’s book for understanding the complex financial industry. Aimed at young readers – as well as teenagers and adults who want to learn the basics – this book is filled with key terms and concepts of the stock market. A wonderful teaching tool for future investors. A graduate of Brigham Young University, Sandi is a member of the Society of Children's Book Writers and Illustrators. She is the mother of 4, grandmother of 3, and when not writing, enjoys playing the piano and horseback riding. She and her husband of 33 years, Rick, currently reside in Northern California.